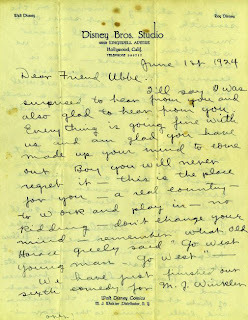 I've had this for about a year, it was supposedly scanned from the original photo belonging to the Cowles family. 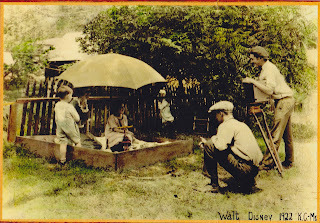 Walt can be seen at the far right of the photo filming the the Cowles children. 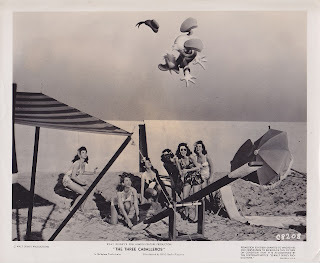 That's probably Mrs Cowles in sand pit with the kids. One of Walt's principal backers in the Laugh-O-Grams venture was Dr. John V. Cowles and this is no doubt his family. It was also in 1922 that Laugh-O-Grams placed an add in the Kansas City Star offering their services to photographing babies. The upcoming "Walt Before Mickey" will cover this and more, hopefully in more detail than we've read before, I can't wait for that one. I recently bought these two stills mostly because I really liked the way Donald was integrated into the photo. Easy to do today, but back then it would have required careful airbrushing. Looking at the photo it is hard to imagine that just beyond the wall is Burbank, and that the set itself is sitting on the Disney parking lot. On the The Three Caballeros laserdisc is some great color behind the scenes footage of this sequence being shot. I wonder why it never appeared on the DVD release. In the footage B-52s can be seen flying by in the sky. Now, is it true that the girls in these photos and the actual sequence are the ink and paint girls? I believe I heard somewhere that they were asked to bring their own swimsuits for the shoot. 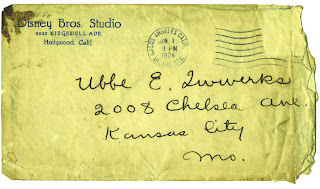 Exciting news through Cartoon Brew this morning for Disney historians and collectors. 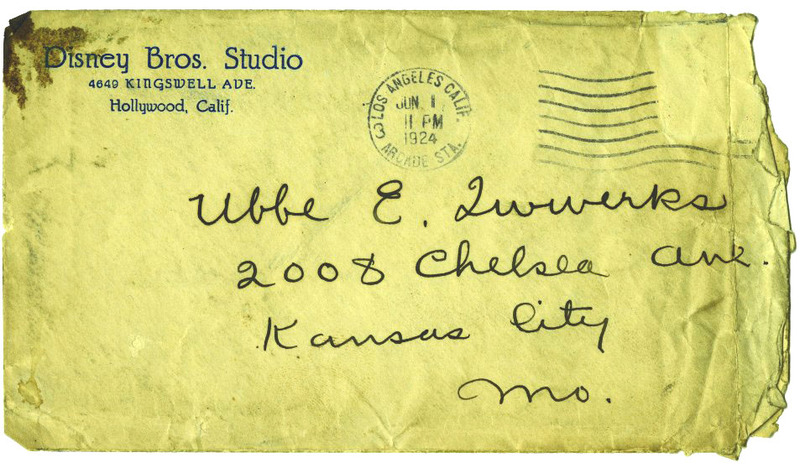 Going under the hammer on May 14th and 15th amongst other animation artifacts is the often quoted letter from Walt to Ub, happy that Ub had finally accepted his offer to come out to Hollywood. 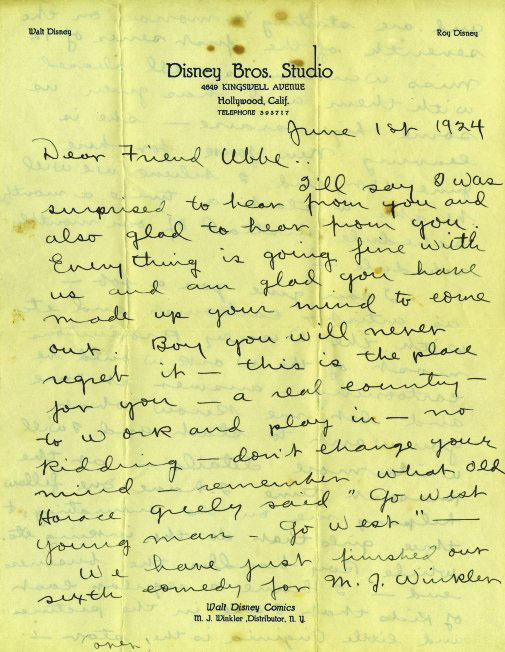 If Walt's letter to Virginia Davis' mother in the Phil Sears collection is the most important document in animation history then this must be the second. More details are on Cartoon Brew and on the Profiles In History website. 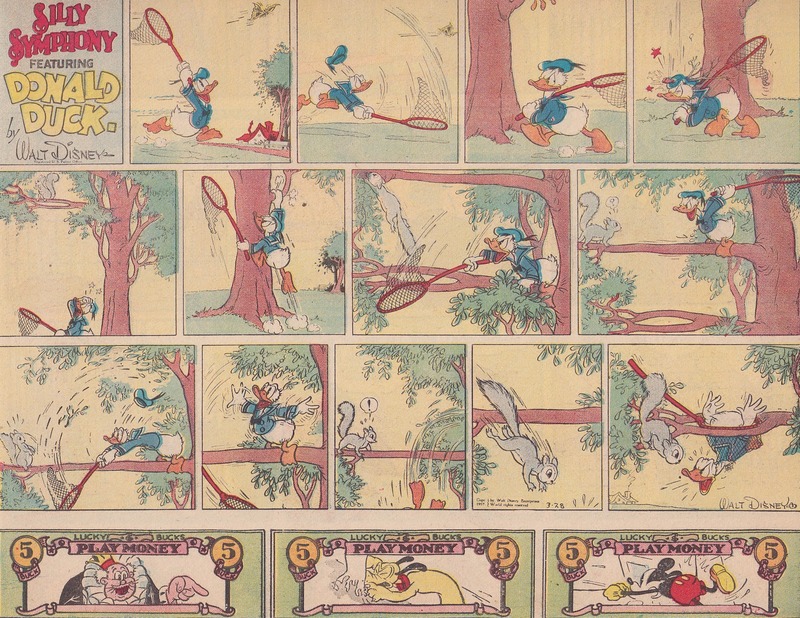 It's been a long time since I posted a Disney Sunday page, over the last couple of years I've aquired quite a lot of them, partly as research for developing my own strip based on a film I'm trying to get finished and then simply because I love them. 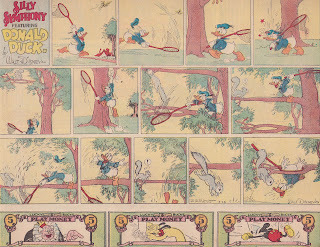 With so many wonderful books now collecting daily strips and the Mickey collection arriving very soon I've been inspired to start posting again. 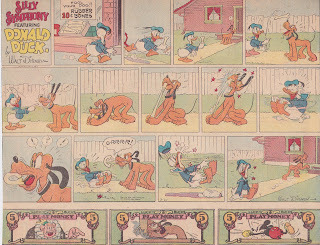 Hopefully we'll eventually see book collections of the Disney Sunday strips. 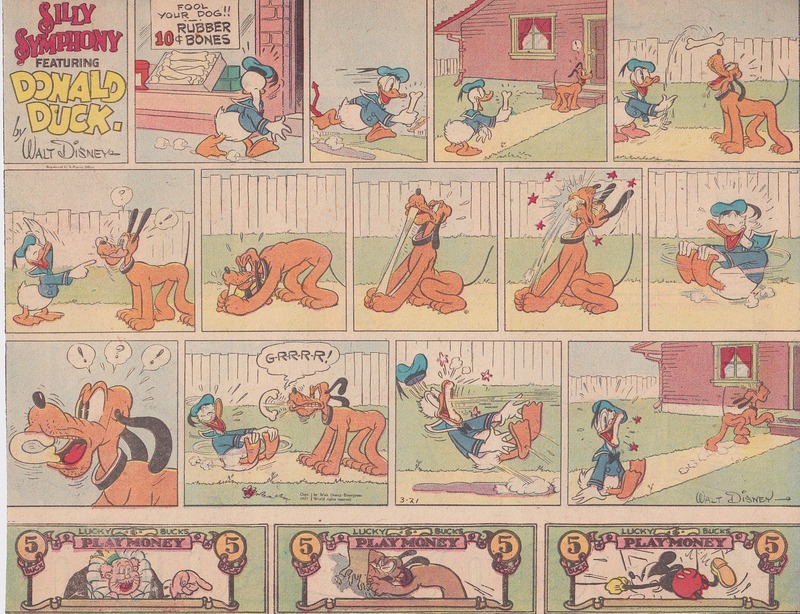 Here's Donald from March 21, 1937.